There are other 3.0 features such as menu management and multi-site, but this is the most promising feature coming. In this tutorial, I’ll walk you through the creation of custom post types and how they can be used for your blog. Don’t be confused by the term “post” in the name. It is actually an extremely generic term and should not be considered the same thing as a blog post. If you prefer, you can replace it with “content” instead. Custom post types don’t have any strict rules that define what they are. They can represent any type of content you want. For example, WordPress ships with several default post types. You should think of them as a way to create, edit, and store information in the same way as blog posts but with much more creative control. One thing I would warn against is trying to separate your blog posts in this way. You have categories, tags, and custom taxonomies at your disposal if you’re just looking for a way to label them. While WordPress ships with some good default post types that are great for most sites, some of us need alternatives. I’ll list some things below that I think would be useful and link to examples if I can. Event calendar (I know a lot of folks are interested in this). A forum without a lot of integration problems. 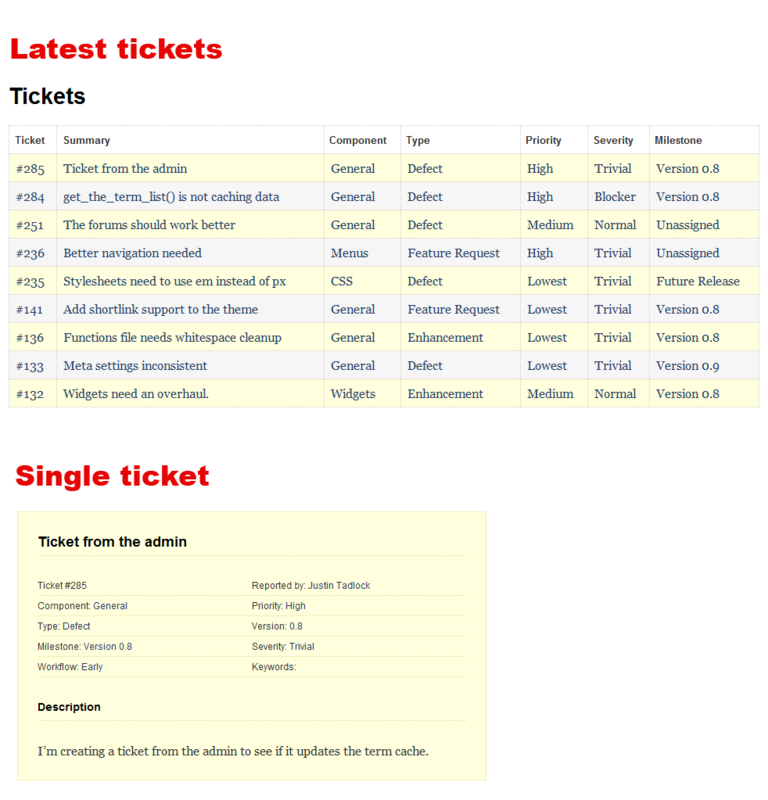 A ticket system like the WordPress Trac. Don’t let your imagination be limited by my list of examples. Also, look for some information on the forum and ticket system ideas from me in the future. Those two are projects I’ve been building and would love to get some feedback on. Once you create a custom post type, WordPress can handle all of the admin stuff for you. By default, the administration interface will be the same as what you get with blog posts and pages. Of course, you’re welcome to get more advanced with it and change it into whatever you like. WordPress 2.9 introduced the register_post_type() function. It didn’t do a lot at the time, but WordPress 3.0 will make this a powerful tool. To get the basic functionality of a custom post type working, we hardly have any code to input. Before you start, you at least need a few things: a name, two labels, and whether your post type will be public (you’ll likely want this). When creating custom post types, you need to add your code to a plugin file. While it’s possible to do this via the functions.php file in a theme, it is incorrect to do so. 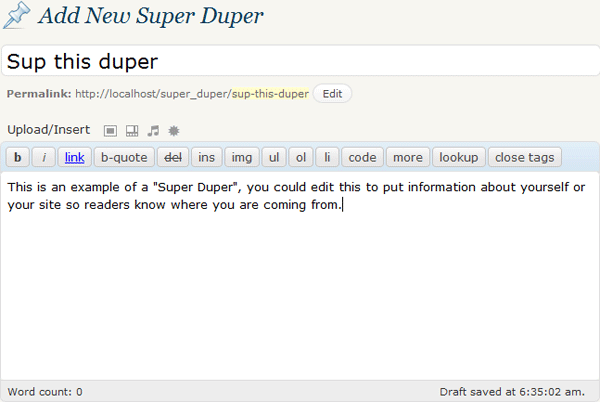 Let’s set up our Super Duper post type. You’ll notice that there’s not a lot going on there. We added two parameters: a post type name and an array of arguments. All of the possible arguments are detailed in the next section. If all you’ll ever want to do is something as basic as having a title field and content textarea, you can skip over the next portion of this tutorial. In the basic section above, we used two arguments to create our custom post type. However, the register_post_type() function has well over 20 arguments you can use. It gives you a lot of control over the specifics of your post type without a lot of hassle. You can mix and match these in all sorts of ways that I can’t even come close to covering in this tutorial. Below, I’ll describe each of the arguments available for use. Each section will have an example of how to add the argument to the arguments array. The labels argument is an array of strings that represents your post type in the admin. Each string is a bit of text shown for particular function in the admin. By default, non-hierarchical post types will have text with “post” in them and hierarchical post types will have text with “page” in them. It is particularly important that you make these strings translatable if you’re creating a plugin for public use. This list is a set of general examples of when each string is used. However, each may be used in multiple places in the admin. edit: The menu item for editing posts. view: Used as text in a link to view the post. parent: Used as a label for a parent post on the edit posts screen. Only useful for hierarchical post types. The description argument allows you to write a text string of your post type. Thus far, I haven’t seen this used anywhere in the WordPress admin, but I’m sure custom post type plugins could take advantage of this. show_ui: Whether to show the administration screens. publicly_queryable: Whether queries for this post type can be performed from the front end. By default, a new post type is added after the Comments menu item in the admin. But, you have to ability to move it to a position more suitable for you. Default WordPress menu items are set apart by integrals of 5. For example, using 20 will add your menu item after Pages. New post types will default to the Posts menu icon, but if you want to mix it up a bit or give your post type some separation from other elements, you can define a custom icon. You only have to input a a custom URL to an image file. The hierarchical argument allows you to choose whether you want your post type to be hierarchical. It defaults to false. If you set it to true, your posts will behave like pages in WordPress. The query_var argument allows you to control the query variable used to get posts of this type. For example, you could use it with the query_posts() function or WP_Query class. This will default to the name of your taxonomy. The capability_type argument is another catchall argument for several more specific arguments and defaults to post. It allows you to define a custom set of capabilities, which are permissions to edit, create, and read your custom post type. If you’re unfamiliar with capabilities, I highly recommend reading my guide on users, roles, and capabilities. If you just want to keep the same permissions you have with blog posts, leave this at the default. Otherwise, you can either set capability_type to something custom or define each specific capability in the capabilities array. edit_post: Whether someone can create and edit a specific post of this post type. edit_posts: Capability that allows editing posts of this post type. edit_others_posts: Capability that allows editing of others posts. publish_posts: Capability to grant publishing of these types of posts. read_post: Capability that controls reading of a specific post of this post type. read_private_posts: Capability to allow reading of private posts. delete_post: Capability that grants the privelege of deleting posts. For most people that need control over these things, it’s easier to just change capability_type to something like super_duper. WordPress will automatically switch the other caps to follow this pattern. 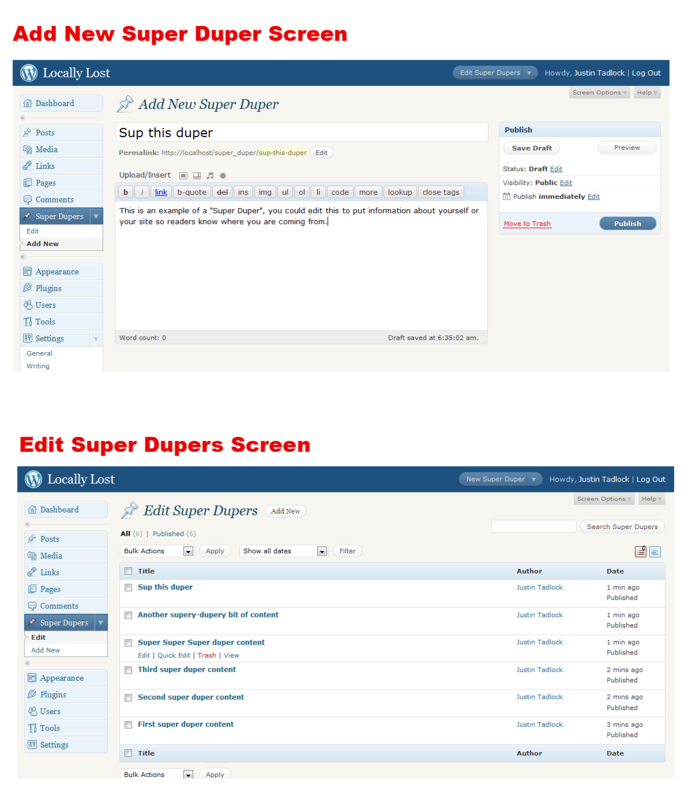 For example, the edit_post capability would become edit_super_duper. Of course, capability control means nothing without being able to choose who has the capabilities. That’s what my Members plugin was created for. It’s ideal for this scenario. author: Displays a select box for changing the post author. thumbnail: The thumbnail (featured image in 3.0) uploading box. custom-fields: Custom fields input area. slug: The slug you’d like to prefix your posts with. with_front: Whether your post type should use the front base from your permalink settings (for example, if you prefixed your structure with /blog or /archives). If you have some preexisting taxonomies, you can allow posts of this type to also use those taxonomies. You just have to set an array of taxonomy names that you’d like for it to use. WordPress will handle all the administration features for you. Note that I’ll be covering the integration of post types and taxonomies in more depth in a future tutorial. You can use the can_export argument to decide whether posts of your post type can be exportable via the WordPress export tool. By default, this is set to true. This feature will likely only be useful to developers. You can create a custom callback function that is called when the meta boxes for the post form are set up. I won’t pretend to know much about permalink endpoint masks. I just know you can define a custom one for your post type. Most of you won’t need this. For the purposes of this tutorial, I’ll leave this at the default. WordPress will show the singular view of your custom post types without any extra work. Once you create a new post, you’ll be able to view it by clicking on the View Post link. If your WordPress theme has a single.php template, this will be used to display your custom post type. If not, it will fall back to the index.php template. Since this is a “custom” post type, I’ll assume you want to customize how it’s output. To overwrite the default, you can create a custom template. Our template will be called single-super_duper.php. You can go as crazy as you like with this template. All of the standard WordPress template tags will work just fine here as well. I could give you endless pages of examples of how to customize this, but I won’t. I’d rather allow you to get creative on your own. If you’re using a smart theme like Hybrid, this template will be super_duper.php. Hybrid has long supported custom post types and uses a different template hierarchy, which is detailed in its tutorials. 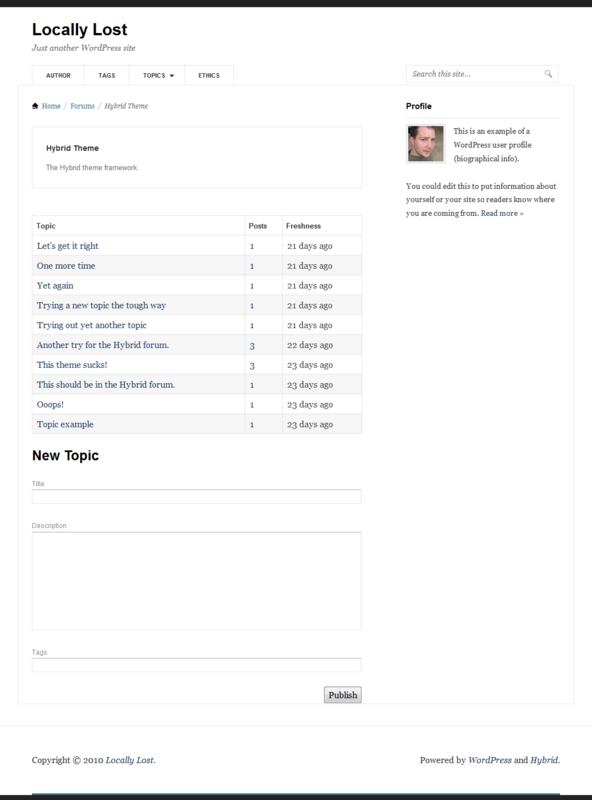 WordPress 3.0 will be a fun time to use this theme because of the ultimate control it gives you over templates like this. Obviously, this is an extremely simple example. Understanding what you can do with the loop is outside the scope of this tutorial. The most important part is giving the post_type argument the name of our post type. An old, yet useful, function in WordPress is get_post_type(). It allows you to check the current (if no post object or ID input) or a specific post’s post type. It will return the name of the post type for the post as a string. WordPress 3.0 will introduce a conditional tag called is_post_type() whose purpose is twofold. Its first purpose is to check whether a post type or types exist. In order to use it, you can input a custom post type name or array of names into the function call. The second purpose of the is_post_type() function allows you to check a specific post against a specific post type(s). Let’s assume we want to check if one of our posts has the super_duper post type. You may want to treat hierarchical post types differently than other post types. To figure out if a post type is hierarchical, you can use the is_post_type_hierarchical() conditional tag. It will take in a post type name, post ID, or post object as its single parameter. In some scenarios, you may want to get the arguments (all those things we went over earlier) for a specific post type. It is extremely important for plugin/theme authors to respect these arguments when creating plugins/themes that interact with custom post types. Let’s suppose we want to call a specific function if the super duper post type has set show_ui to true. The add_post_type_supprt() function is no different than using the supports argument when first creating your post type. This is likely more useful if you’re using a plugin/theme that has defined a custom post type. So, let’s suppose you’re using a plugin that creates a new post type for you. Your post type doesn’t have support for thumbnails, but you think this feature would work well on your site. The opposite of this function is remove_post_type_support(). So, let’s further suppose that your plugin author added support for excerpts, but you don’t want to use this feature. or something of that sort. This is fairly common. But, you may want to remove it if the post type doesn’t have written content. Be careful with this though. A post type may have other means of defining something like the content, and this should only be taken as an example of how to use the post_type_supports() function. As a plugin/theme developer, you may need to get all the registered post types for use in a function of your plugin/theme. You’d use the get_post_types() function for this. In the below example, I’ll output a list of post types by singular label that are shown in search results. Help! I’m getting a 404! If you’re getting a 404 message when trying to view a post, don’t worry. This is supposed to happen when setting up new post types. The easiest way to fix this is to simply visit your Settings > Permalinks page. You don’t have to save your permalinks but just visit the page. This will flush your rewrite rules. If you’re a plugin author, you can save yourself some support questions by flushing the rewrite rules on activation of your plugin. Is this a theme or plugin feature? I’ve had a hard time trying to decide which to call it, and have ultimately decided that it’s both. It’s a marriage of the two because both need to be in sync to fully enjoy the benefits of custom post types. More than likely, you’ll see post types registerd from within a plugin. But, they have to be displayed by your theme. If you’re creating this all yourself, you can simply drop it all in your theme. If you’re a theme author, you should be aware that plugins may add new post types. Do yourself and your users a favor by not assuming too much. Keep your code flexible enough to give a default view for custom post types and easy enough to handle when creating custom templates for those post types. I haven’t even scratched the surface of what’s possible with custom post types. Even the new navigation menus feature of WordPress 3.0 will be built with them. While I know some people in the community don’t agree with this decision, I wanted to point it out because it’s a unique example of what’s possible.